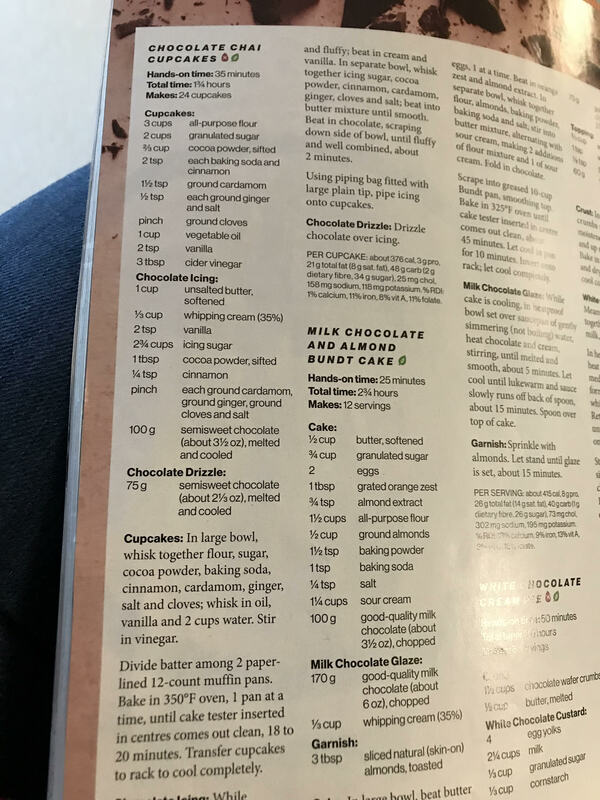 This annoyed me, I halved the recipe for chocolate chai muffins on all the ingredients except one. ‍Note to self… measure twice cut once! 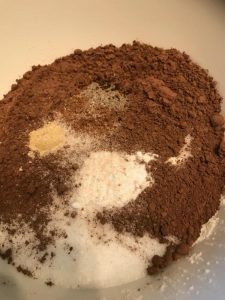 ‍Still they were delicious, here is the recipe, if you’d like! My seat-mate on a recent flight told me about a call she received from her ex-husband. He was driving down the highway and saw what he thought was her Dad sitting on the trunk of his car reading a newspaper on the side of the road. It turns out it was her Dad, his car got a flat tire but with his carefree spirit just decided to enjoy the afternoon and ‘wasn’t worried about it’. One might think dementia was setting in but nope – that was just her Dad’s way, he didn’t let little things bother him. Hmmm, this really made me think and reflect. Maybe you and I could take a page from his book, (or his newspaper). Personally, when I don’t handle stressors well, either publicly or privately, I rarely feel proud of the way I handled things, happy with myself or content with my effect on others. Conversely, when I handle a stress well, when I prevent, anticipate and prepare for stressors, I feel good! In fact the way I feel about how I handled it usually overrides the stressor itself. Typically, if it involves others, I feel I have positively contributed to the situation, sometimes by making it better and sometimes just by not making it worse. Either way I feel like I won; small annoyance – 0; Steph – 1! What small annoyances are happening in your life that you are ready to let go of and not let bother you anymore? What small annoyance can you prevent, anticipate and prepare for? What small thing can you do when a small annoyance occurs that may have a big impact for yourself and others? Not letting small annoyances win, it’s just one more way to live Your Life, Unlimited! This entry was posted in Motivation, Newsletters, Personal Growth, Positivity and tagged e-news, Motivation, personal growth, positivity, Stephanie Staples, Your Life Unlimited. Bookmark the permalink.